Why Does Food Cost the Earth? All this week we’ve been encouraging you to reduce your food waste. But in the world wide scheme of things how big an issue is it? In a word; huge. The numbers are mind blowing. Globally, about one third of all the food produced in the world, is wasted. And when it comes to wasting food, we in the UK are amongst the biggest culprits. We are the most wasteful country in Europe. 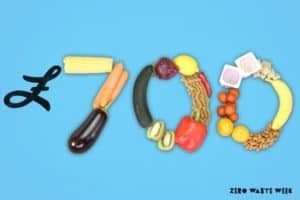 Last year UK families threw away over 7 million tonnes of food (WRAP), more than twice as much as supermarkets, hotels, restaurants and food producers put together. Wasting this food costs the average family over £700 per year. But the real impact of that waste goes way beyond our pockets. Firstly, there’s landfill, which is where most food waste ends up. 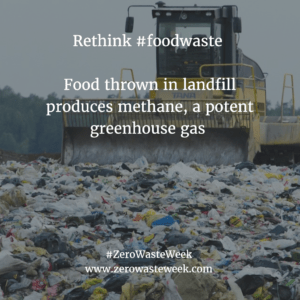 About 20% of all landfill is food. As the food decomposes, it emits methane, a greenhouse gas 20 times more destructive than CO2. 97% of the world’s scientists now agree that global warming is real and that it is driven by greenhouse gases. Food waste is, therefore, a major driver of climate change. Secondly, there’s the impact from producing all that wasted food in the first place. 30% of the world’s agricultural land is currently being used to produce food that just gets thrown away. Which means that all of the labour, water, fertilizer, heat and energy needed to grow, transport and store all that food is also wasted. All of this has an impact, not just on our pockets but on the planet, contributing to global warming. Thirdly, there’s the human impact. Everyday 21,000 people die from hunger, and one in nine go to bed hungry. Globally, one in ten people are malnourished, and yet much of our wasted food originates from their back yards, but is shipped to richer countries for us to waste. And the climate changes that that wasted food helps drive? That hits these very same people the hardest, ruining crops and destroying communities. So this issue goes way beyond your kitchen bin…but that’s where the change needs to start. So let’s get back to that bin, specifically mine. I’m passionate about this stuff, but I still get it wrong; sometimes I buy too much, sometimes our plans change and so a meal doesn’t get cooked, sometimes we don’t quite finish all the veg, or one of the kids gets invited to eat at a friend’s. More often than not, this food got thrown away….eventually. I actually went through a phase of feeling so guilty about this that rather than throw it away, I would hide it at the back of the fridge. Even now, if I do need to bin anything, I tend to do it when no one else is around, like some kind of sordid little habit. And I know many of you will feel the same way. Most of us don’t plan to waste food, it just happens. No-one’s perfect. But the good news is, we don’t need to be. We just need to be better, a little better each day. The important thing is not giving up, it all counts and practice makes perfect. That way, day by day and step by step we can start reducing the impact on our pockets, the environment and the world’s poor. But where to start? 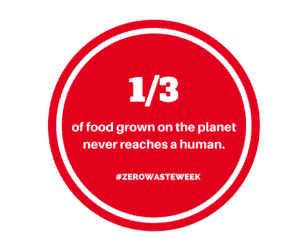 All this week we’ve been talking about zero waste and sharing lots of tips and ideas on how you can make small changes that add up to a big difference, as well as helping you get motivated to do so by understanding why this matters. So now it’s over to you, it’s time to choose. Was this a one week trip, or the start of a journey of a lifetime? It’s time to make some lasting changes to our food habits. But like all journeys, they are best shared in the company of others. So don’t try to do it by yourself. Enrol your friends. 1,000 people all wasting a little bit less, has a far greater impact than one person wasting nothing at all. So think of yourself as part of a big team, a great big try harder with food waste team. 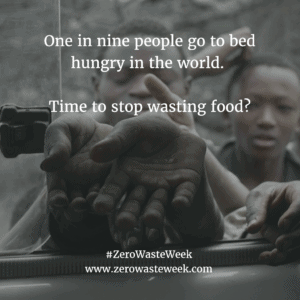 We need to stop wasting food for the sake of the planet and for the sake of the world’s poorest, for those one in nine people who go to bed hungry every night, and we need to start today. We all benefit hugely from reducing our food waste. Changes don’t just save the planet, they save us significant amounts of money too. Truly a real deal for you, a real deal for the world. I have really made an effort to read your posts ( really interesting & very useful tips)this week & as a result have discovered your meal planner complete with a variety of new recipes. For me personally, I find meal planning to be the key to reducing food waste. I can definitely recommend the Chicken Balti & Chicken Korma & looking forward to sampling the Winter Fish Pie. Looking forward to any future posts! Thank you very much. Am so pleased that you find the meal planner helpful. Glad you have enjoyed the Chicken Balti & Korma. The Winter Fish Pie is a real favourite in our house!